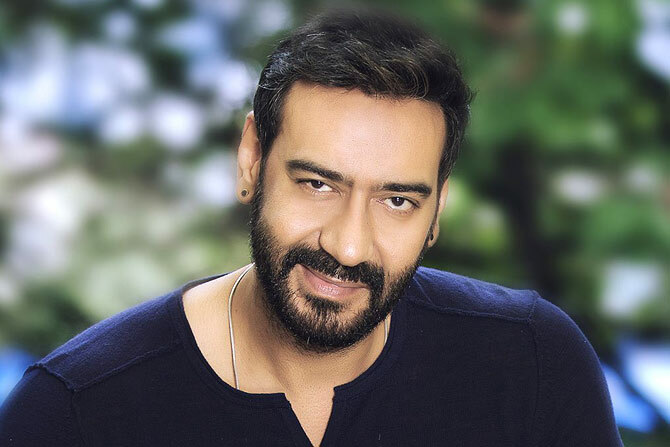 Ajay Devgn’s ‘De De Pyaar De’ all set to portray the actor as a completely different romantic hero on screen. We all know Ajay Devgn as an intense actor with many of his films over the years. This recent project that he has taken with a debutant director Akiv Ali, will change his ‘intense look’ for sure. ‘De De Pyaar De’ is a romantic comedy drama and is said to be the most fun filled project of his career. The film also stars Rakul Preet Singh as Devgn’s opposite lead. It also stars Tabu and Jimmy Sheirgill. The film was initially aimed to be released on 19 October 2018 but due to longer shooting schedule, the release date postponed. The film is slated to be released on 22 February 2019. The producer of the film Luv Ranjan says that Ajay did a lot of fun stuff at Golmaal series. Also, his other romantic films portray the actor to be a dark and an intensive hero. This new project will make the audience see a completely different side of Ajay. The producer also reportedly says that after watching Ajay and Rakul's romance, love on the screen will never be the same again. Flop. Ajay is doing romance in this age. Even King of romance SRK couldn't save JHMS from becoming big disaster.